What are serviced apartments UK? A question that is frequently asked is ‘What are serviced apartments and are there any benefits versus booking into a Hotel?’ Serviced apartments are completely furnished, inclusive of a kitchen and are available for both short-term and long-term stays. They are inclusive of utility bills and provide hotel-like amenities such as maid service and reception or 24 hour customer service. Serviced apartments are more spacious and typically cost less than a traditional hotel with indirect savings made by cooking and guests having facilities to do their laundry within the apartment. Serviced apartments are ideal for corporate stays, business and leisure travel. 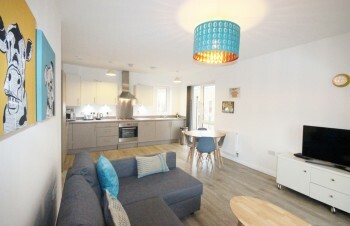 They range in size from studio through to three bedroom with an open-plan living-area so guests benefit from more space. Kitchens are equipped with all the basic appliances, crockery and cutlery – some even offer added extras such as a rice-cooker to meet guest requirements. Serviced apartments are also well suited as a temporary solution when in between house moves or if relocating to the area. They offer more space with separate living areas so you can work, sleep, relax and entertain at your leisure in comfortable, homely surroundings. You save on costly restaurant and laundry bills because you can make your own meals and use the washing machine, iron plus ironing-board to keep up-to-date with your laundry. Guests enjoy a specialist and totally complimentary Sky package with Sports, F1 and Movie channels. Complimentary welcome pack to get you started. 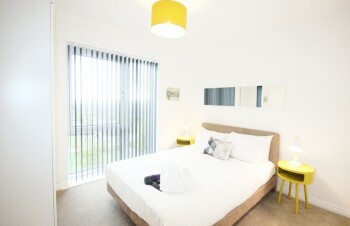 Serviced apartments are particularly beneficial when staying a few nights or more. Eating out in restaurants or pubs can start ‘weighing’ heavily on ones waist line so having the option to eat-in and prepare nutritious meals is a lot less demanding on our health and levels of vitality. Companies who send staff out on regular work contracts to distant locations, hotel bills can soon start to impact negatively on profit margins. Serviced apartments can accommodate up to six people so if colleagues share this will lead to huge cost savings added to which are the indirect costs savings made on laundry and meals. Most serviced apartments are located in cities or towns close to transport links, shops, office parks and entertainment amenities, which means reduced travel costs to commute around during a stay in a serviced apartment.